Make Easter morning extra fun by cooking some Gluten Free Easter Egg Pancakes! My mother made us always eat breakfast before we could see our Easter Baskets loaded with candy. I think see was smart to have us eat breakfast first, then we didn’t fill up on candy and then be sick the rest of the day. But just because we want our kids to have breakfast first doesn’t mean it can’t be fun! How about making Gluten Free Easter Egg Pancakes for Easter breakfast?! This makes it fun and memorable – yet it can be quick and easy too! See the step by step directions and recipe here ~Make Gluten Free Easter Egg Pancakes! 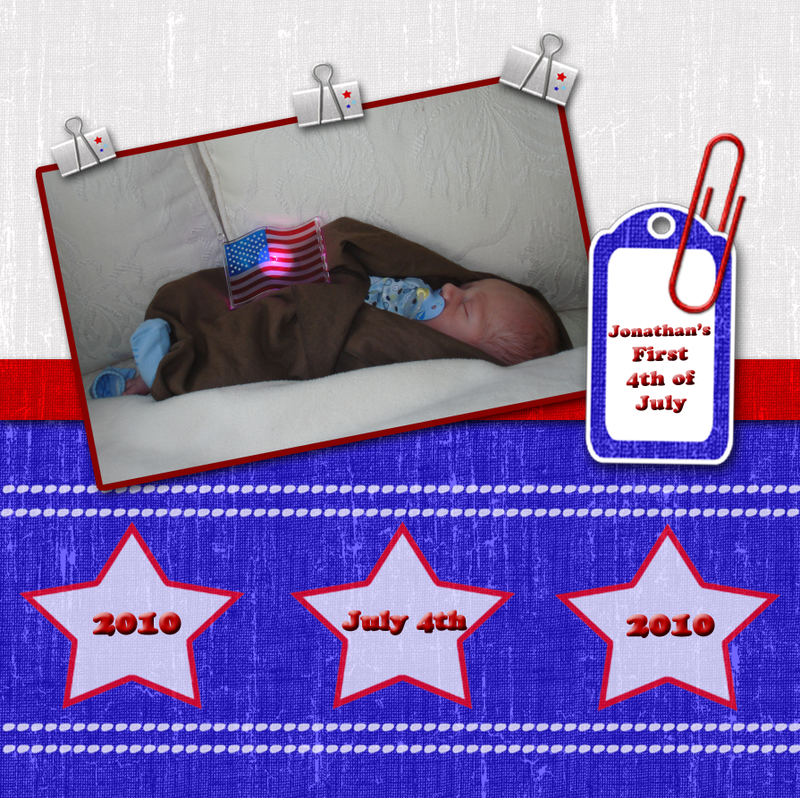 And a Digital Scrapbooking Recipe Page! What kid wouldn’t want to start Easter morning with a fun Gluten FREE Easter Egg pancake? Make Easter extra fun this year and when you take the time to make memories don’t forget to scrap the fun too! After you read this article and get fun ideas on how to make Gluten Free Easter Egg Pancakes get some Digital Scrapbooking kits too and scrap the fun! Digitally scrap all the fun of Easter with the Easter Egg Hunt Digital Scrapbooking Kit with 12 x 12″ Scrap Pages. The Easter Egg Hunt Scrap Kit is the perfect Kit to scrap you and the kids on this very special day. Scrap this year’s Easter traditions; whether that’s looking for Easter Eggs or enjoying yummy treats from the Easter Bunny himself! Scrap all of your Easter traditions with the kids this year using the Easter Egg Hunt Scrap Kit. Create an entire Digital Scrapbooking Project showing-off the kids having fun as they search for those special Easter Eggs hidden by the Easter Bunny! This fun-to-scrap kit is filled with perfect pastel Digital Papers that include green grass, pretty flowers, and all sorts of exciting Easter Eggs! If you want to learn more about Digital Scrapbooking or Photo Editing please check out Digital Scrapbooks and More’s Scrap Shop for great video tutorials and wonderful digital scrapbooking supplies! Also get training in Digital Scrapbooking for Elements or Photoshop! Start Scrapbooking today with FREE Digital Scrapbooking Supplies! Get some good digital scrapbooking tips and FREE Digital Scrapbooking Supplies when sign up for the FREE Newsletter that gives FREE tips and Free digital supplies too – Sign up today! You may have wondered why I haven’t blogged for a while… well, I have some special news that I’d like to share: I just delivered a healthy baby boy …Jonathan! He weighs 7 pounds, and he is 20 inches long! We couldn’t be happier with his arrival. He is more precious and beautiful than I ever could have imagined. I feel so blessed and am beyond overjoyed to have this little angel in my life. With my new baby I am taking lots of photos and want to do some scrapbooking! I like the idea of Digital Scrapbooking as it is the GREEN way to do scrapbooking and also because when I make a digital scrapbooking page I can have it on my computer, send it by email or have it printed out in a leather bound album, turned into a mouse pad, calendar, apron and more!!!! If you are interested in digital scrapbooking you can get supplies and training at Digital Scrapbooks and More! 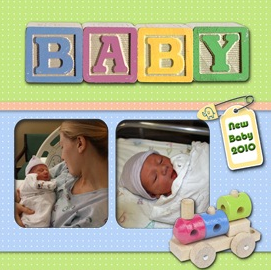 They also have baby-themed training and digital scrapbookng supplies!!! If you are a mom or mom-to-be, or know someone who is, stock up on one-of-a-kind baby training to edit baby photos and make them look beautiful and professional for baby books, or get adorable baby-inspired digi-kits to scrap a special new addition or toddler. In the meantime, there will be LOTS of digital scrapping to come from me now that my little baby boy is here! And digital scrapbookng will be even more fun for me now that I can scrap his sweet little face! We hope you enjoy scrapping the special babies in your life too. There’s nothing more precious in the world than our children. Now I know this is true. Make Gluten Free Easter Pancakes! Just because your child needs to stay Gluten-Free doesn’t mean they should miss the fun this Easter! This blog article will tell you how to add a little fun by making Gluten Free Easter Egg pancakes and how to digitally scrap the fun too! What kid wouldn’t want to start Easter morning with a fun Easter Egg pancake? Make Easter extra fun this year and when you take the time to make memories don’t forget to scrap the fun too! Making special fun memories is what childhood is all about! Don't forget to Scrap Your Special Easter Egg Breakfast! If you would like to get a FREE Easter digital scrapbooking tag — then you should also check out this article – Extra Freebie for Newsletter Members, Today Get a Digital Easter Tag! Digital Scrapbooks and More is giving away a Digital Easter Tag for you Easter Weekend Scrap projects! Once you sign up you automatically get notice of all the FREEBIES we send out so — sign up today! If you would like to Buy Easter kits to make more scrapbooking pages then check out these coordinating supplies! Easter Quick Page Digital Scrapbooking Kits! Digitally scrap all of your Easter Egg traditions and the fun with the kids this year using the Easter Egg Hunt Digital Scrapbooking Quick Page Kit.This kit is perfect for home printing with paper size at 11 x 8.5″! Make fast and adorable Easter Scrapbooking Projects with the kids using the “Egg-tastic” Easter Egg Hunt Quick Page Kit! Digitally scrap all of your Easter traditions with the kids this year using the Easter Egg Hunt Quick Page Kit. This Quick Page kit is the perfect way to show-off the kids spending a fun morning or afternoon searching for those special Easter Eggs hidden by the Easter Bunny! This fast-to-scrap kit is filled with bright green grass, sprinkled with flowers, and includes all sorts of brightly decorated Easter Eggs! More Easter Digital Scrapbooking Supplies! Digitally scrap the all the fun of Easter with the Easter Egg Hunt Digital Scrapbooking Kit. Create “Egg-citing” Easter Digital Scrapbooking Projects and print them out on your very own, home printer using the Easter Egg Hunt 11×8.5″ Scrap Kit! The Easter Egg Hunt Scrap Kit is the perfect Kit to scrap you and the kids on this very special day. Scrap this year’s Easter traditions; whether that’s looking for Easter Eggs or enjoying yummy treats from the Easter Bunny himself!